The many memorable films and TV shows that came out in 2017 proved why the sci-fi, fantasy and horror genre dominated our minds. These modern-day gems stood out thanks to many factors like production values, f/x and acting. But more importantly due to smartly written scripts that allowed these productions to stand out and excel. These are the best films and TV shows of 2017 along with some honorable mentions. Episode 8 of the main Star Wars saga is its most controversial and divisive film. Despite its script and pacing flaws, the film had many merits and took the saga into unexpected directions. This year’s final superhero flicks were great in their own ways. 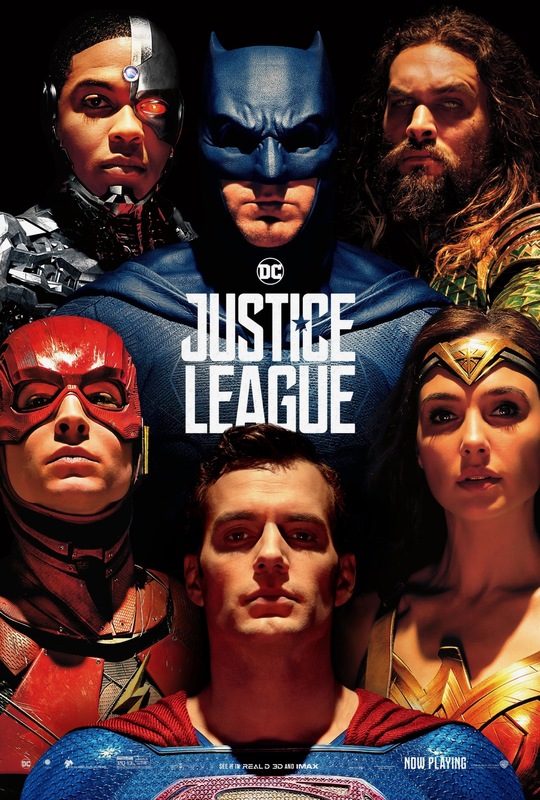 Justice League is a true guilty pleasure and wildly underrated. The epic team-up of DC’s greatest heroes was sloppy and erratic but deep down was a lot of fun. 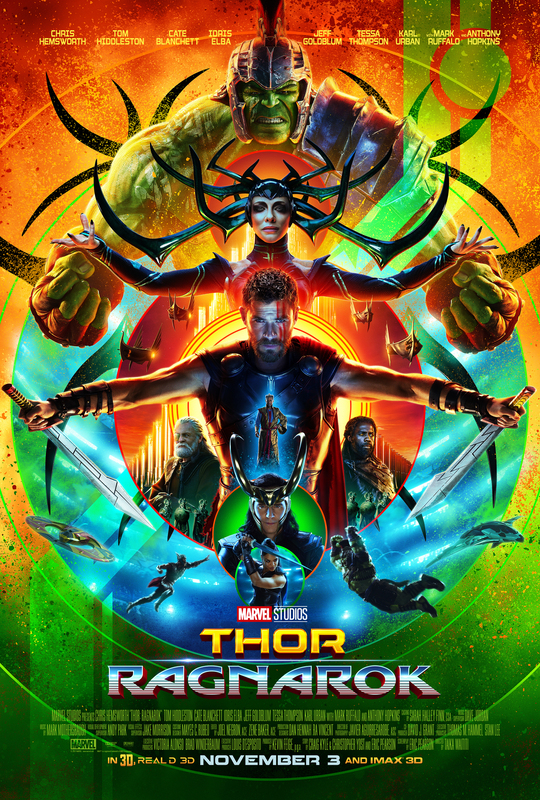 Meanwhile, Thor: Ragnarok was the most vibrant and fast-paced Thor film that put the heroic demigod through the wringer and teamed him up with the Hulk. 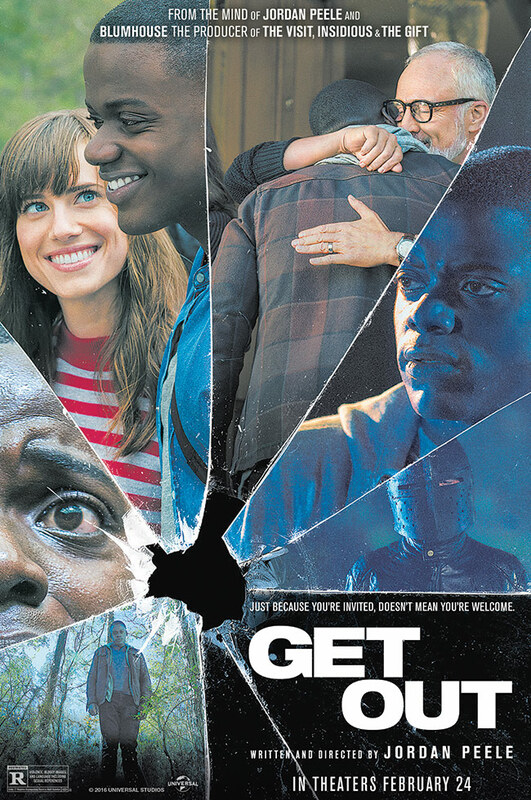 Suspenseful and tense, Get Out exposed our current society’s racial fears in a groundbreaking way. The intelligent script kept us guessing about the plot’s many twists, while playing on racial misconceptions. 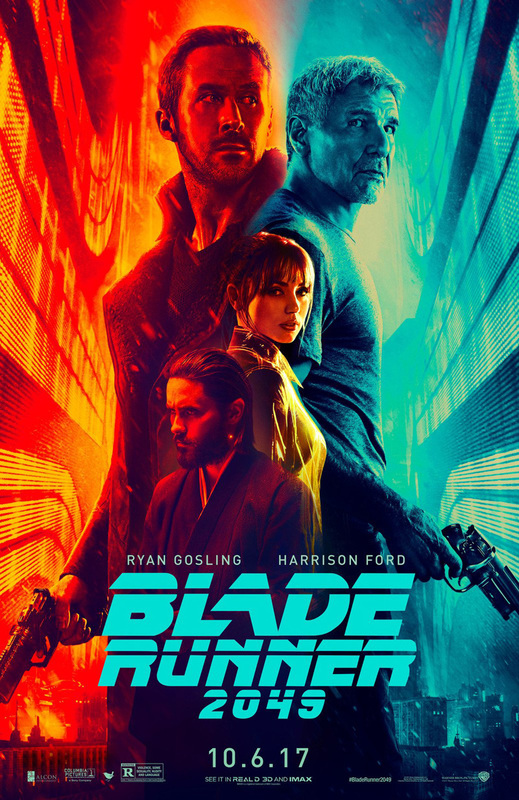 A brilliantly filmed sequel to the sci-fi masterpiece isn’t quite as good as Ridley Scott’s original, but it comes so close. Astonishing visuals and thoughtful themes stayed with you long after the film was over. Pixar did it again with this original (finally, enough of the sequels!) 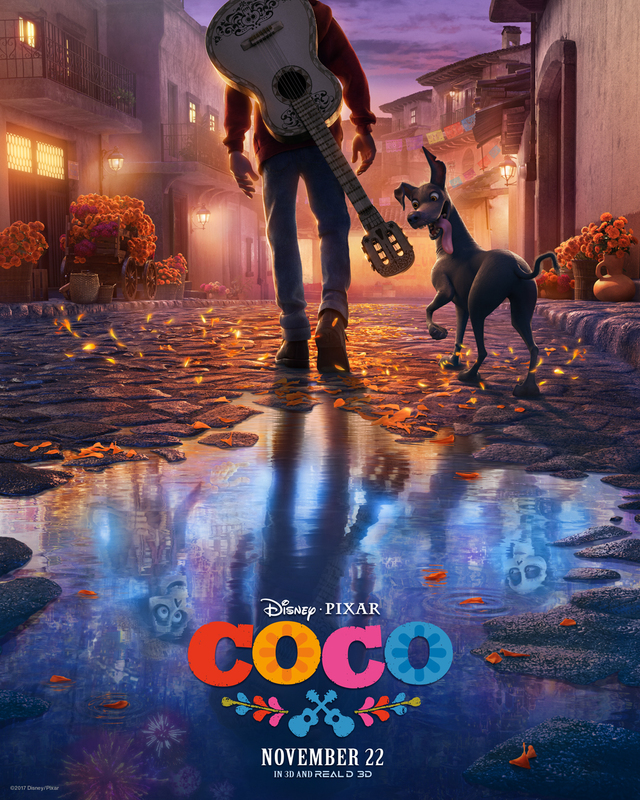 and beautifully animated tale about a colorful afterlife, family and remembrance that tugged our heartstrings so powerfully. One of the best Stephen King adaptations ever is harrowing and downright frightening. 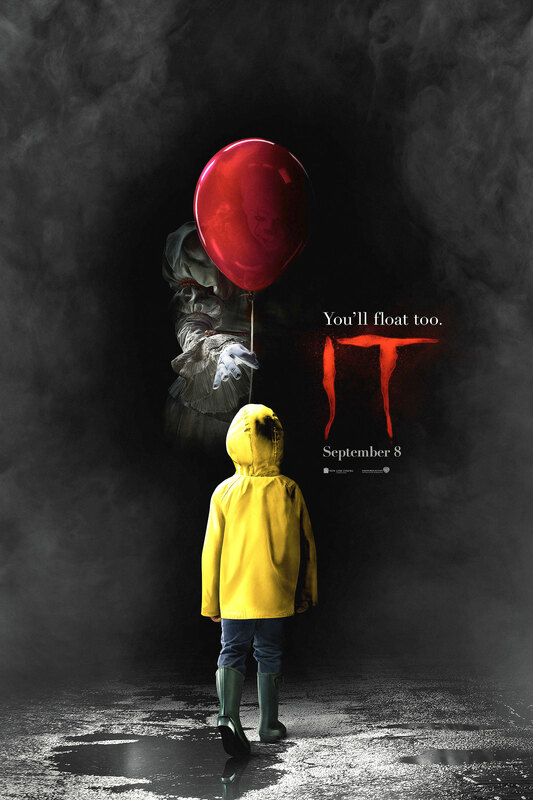 But what made It so popular was its young character studies, as well as the performances from the film’s actors, including Bill Skarsgard as Pennywise, the clown from hell. 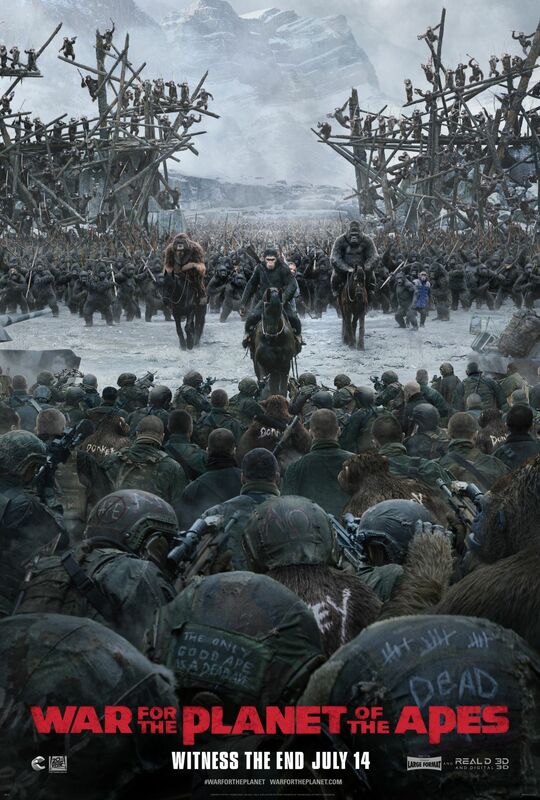 This thought-provoking final film in one of the best film trilogies thoroughly examined the haunted and tortured soul of its main character, Caesar, the super intelligent ape. He was an eerily realistic CG and mo-cap creation, who carried the film with his moving personal battle to salvage his soul. The sequel packed more emotional punches than its heartfelt predecessor. 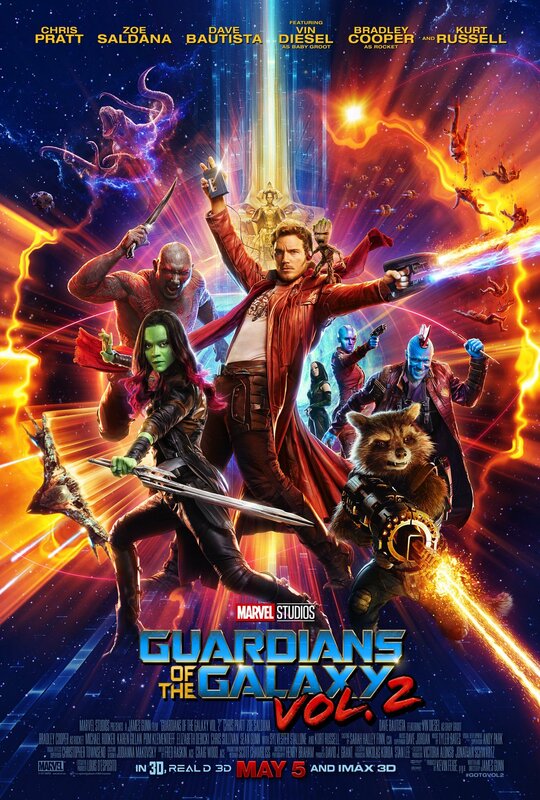 Many characters went through intense personal arcs while the film itself was as charming, funny and thrilling as the first Guardians of the Galaxy. 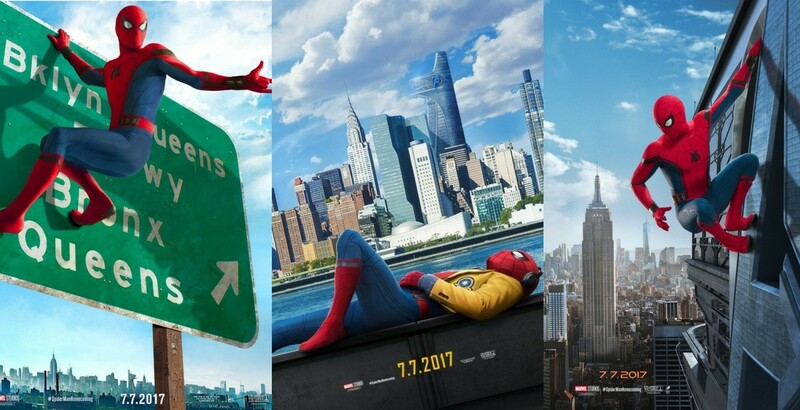 Smart, funny and exciting, Spider-Man: Homecoming is an amazing (corny pun intended) film comeback for the world’s greatest superhero. The first Spider-Man film in the MCU expertly captured the essence of Spider-Man, while modernizing the hero for today’s audiences. This masterful deconstruction of the superhero is a poignant and powerful swan song for Hugh Jackman in his role of Wolverine/Logan. More than a superhero film, Logan is also a dystopian, neo Western that displayed many motifs from the both genres to tell this heartwrenching tale of Logan’s final days. The film was so beautifully crafted thanks to career-defining performances by Jackman and Patrick Stewart as the wizened Charles Xavier. Part of the reason why Logan resonated with so many is because of its universal and relatable message about growing old and facing your end. Logan is a fitting finale for Fox’s X-Men Cinematic Universe. Logan is the swan song for Hugh Jackman in his seventeen-year film portrayal of the iconic Wolverine superhero. The film is resonating with filmgoers and critics and especially fans of the X-Men films and comics. For 20th Century Fox’s X-Men Cinematic Universe (XCU), Logan’s success combined with last year’s Deadpool points to a bold and fresh direction for the cinematic universe. Ever since its debut in 2000 with X-Men, the X-Men film franchise has seen its share of ups and downs. 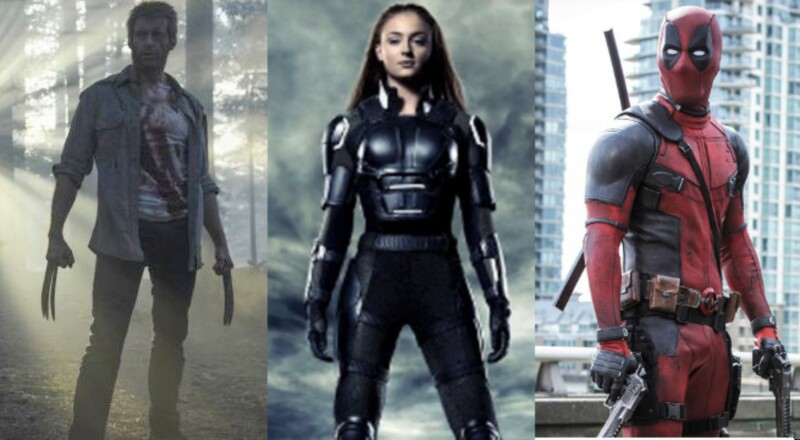 Creative and commercial highs like X-Men: Days of Future Past or X-Men: First Class were quickly followed or preceded with disappointments such as X-Men: The Last Stand or X-Men Origins: Wolverine. 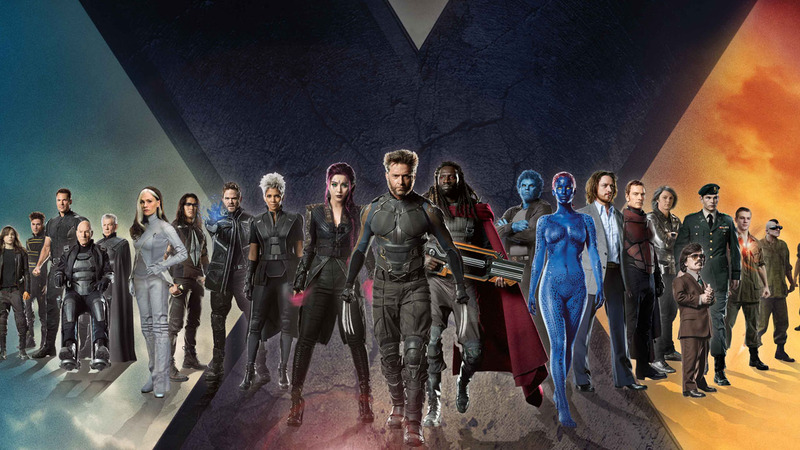 On the whole the XCU films are exciting and colorful but it seemed as if these superhero films had hit a creative wall as seen with X-Men: Apocalypse. By itself the film was fine, but it had a nagging feeling of déjà vu. We’ve seen these theatrics before; a big, bad mutant comes along and threatens the world while the superheroic mutants complain about how they’re ill treated by humanity, yet go out of their way to save it because, well, they’re the X-Men! As we all know that template changed with Deadpool. Funny, gross, self mocking and full of vigor and pizzazz, the film proved that something new can be created from the standard X-Men superhero formula with the Merc with the Mouth. 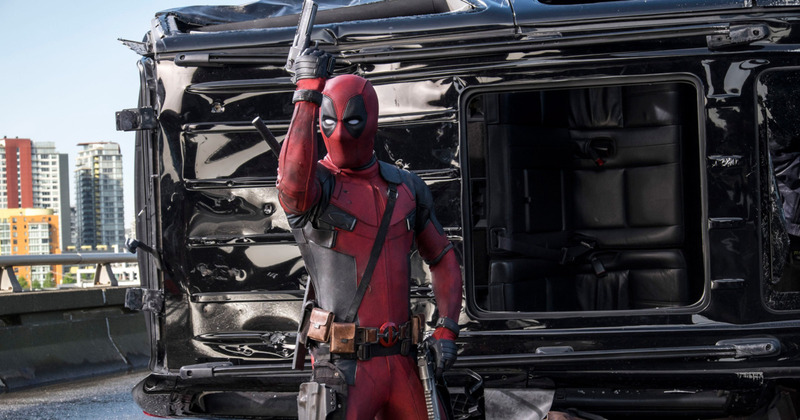 Deadpool was a gamble for 20th Century Fox who resisted the idea of greenlighting the film in the first place. Executives worried about funding a superhero film that was vulgar, violent and comedic. After all, an R-rated superhero film is considered blasphemy to studio execs and marketing departments. They feared that the under-18 crowd wouldn’t be able to see, rather spend money to see the film. But to not allow that in a Deadpool film would betray the character. Of course, Deadpool surprised the industry and delighted giddy fans who wanted an accurate film portrayal of this beloved character that stayed true to his violent, fourth-wall-breaking roots. Deadpool’s success helped give Fox execs the confidence to allow Logan’s creators to take a creative gamble. 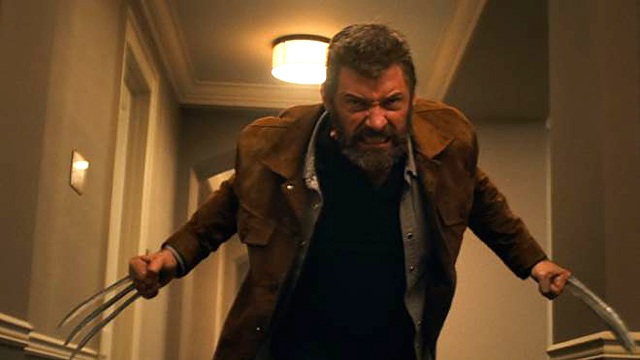 This resulted in the film being an adult, hard-hitting, violent film that truly reflected the dark comic book story that inspired it, “Old Man Logan”. However, Logan’s creative success is not just due to its grim and violent tone. Rather this mature film is more than that, it is about facing mortality and Logan feels so poignant because of the nature of the title character. Logan aka Wolverine, played so skillfully by Hugh Jackman, is a broken, old man who realizes that the world has moved past him. Having long given up the good fight, Logan simply wants to be left alone and face his last days in peace with his mentor Charles Xavier. Like Logan, Xavier is grappling with the challenges of old age and both men know they are reaching their twilight. Having seen these two characters on film for nearly two decades, it is rather heartbreaking to see the indignities they face as we are reminded of our own mortality. Meanwhile, we have to admit that after seeing Jackman playing this iconic hero for 17 years, it is hard to see him go, but we must, which is why the film’s ending hits so hard. At the same time, Logan is looks at the issue of how an adult deals with a degenerating parent. It is a part of life that most will face and by taking care of an ailing Xavier, a man who is not his father makes Logan more heroic than he realizes. Further adding to his growth is the realization of how he has bonded with Laura, aka X-23, the young mutant he and Xavier are protecting. By the film’s end, he has come to not just feel responsible for her but to accept her as his child, which is a bittersweet conclusion to his emotional growth that Xavier urged him to explore earlier in the film. Discovering these themes in a superhero film is actually surprising and gives Logan much more gravitas than the standard superhero film. In many ways, it seems more like a western thanks to its themes of the harsh consequences of violence and beautiful outdoor cinematography. That is why many are proclaiming it to be a film that has outgrown its genre and is now compared to The Dark Knight or Captain America: The Winter Soldier. It is needless to add that this modern classic is already considered by many to be the greatest X-Men film to date. Eager fans of Marvel Comics’ favorite mutant superhero have waited for quite some time for a look at the upcoming film The Wolverine. A sequel to the poorly received X-Men Origins: Wolverine, this new film promises to be better than that one. At least, that is what the people behind The Wolverine are claiming. One thing going for the film is that it seems to be a loose adaptation of Chris Claremont and Frank Miller’s comic book mini-series Wolverine, which takes the title character a.k.a. Logan, into an adventure in Japan. 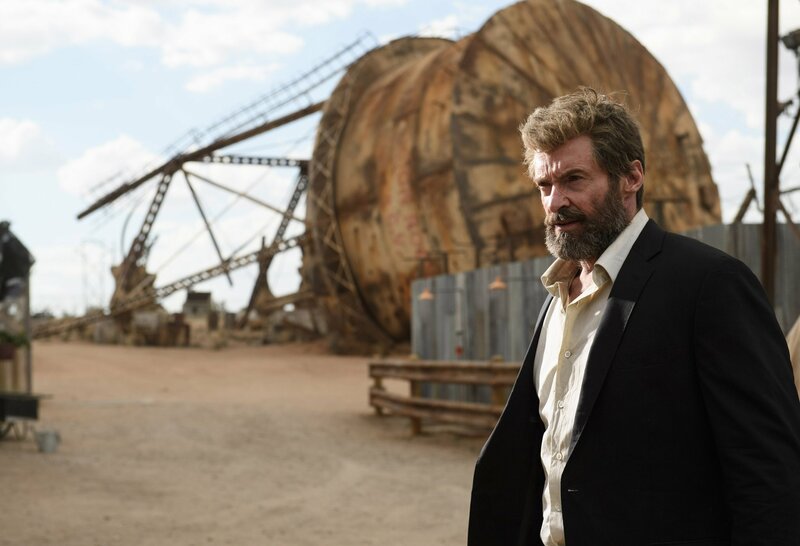 From looking at the trailer, the film sets up Logan (Hugh Jackman) as being on his own and approached to go to Japan where an old, dying friend offers to cure Logan of his curse of regeneration, which has made him practically immortal. He undergoes medical treatments that makes him mortal, but vulnerable. It couldn’t come at a worse time, since in the film, Logan has to fight an army of ninjas and other killers. 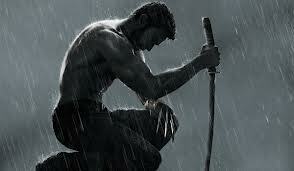 Directed by James Mangold, The Wolverine looks intriguing and exciting. That scene at the end of the trailer where he’s fighting some guy on top of a speeding bullet train is an obvious green screen shot but wildly kinetic. More importantly The Wolverine, at least by looking at the trailer, seems to focus more on Logan and his emotional state. Hopefully it will be better than the last Wolverine solo film, leave out needless cameos of other X-Men characters, and stick to a pure Wolverine adventure. The 1976 movie Logan’s Run is based on a book by William F. Nolan and George Clayton Johnson. 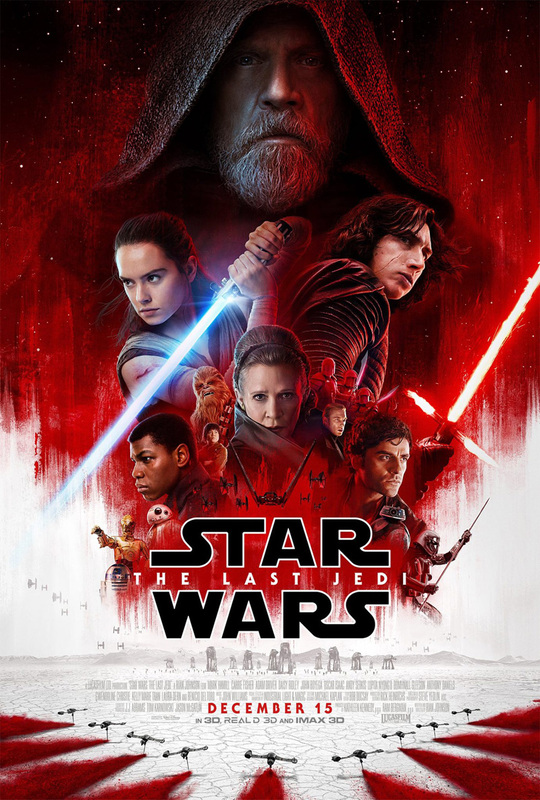 The film follows the journey of Logan 5 (Michael York), a “sandman” who is an enforcer in a futuristic, dystopian society that is obsessed with youth. It’s so obsessed that when a citizen turns thirty years old he or she undergo “renewal” but are actually euthanized. While many in this domed, underground society (actually a stand-in for a mall in Texas) accept their fate, some called runners choose to flee and keep living. Logan and other sandmen are tasked to track down these runners and killing them. During an investigation, Logan learns of a place called Sanctuary, which offers a haven for runners. The computers who rule his society give Logan a mission to find Sanctuary. In order to infiltrate the runners, Logan’s life schedule is advanced to the age of thirty, subjecting him for renewal. During his cover as a runner Logan falls in love with a dissident, Jessica 6 (Jenny Agutter) and learns the truth about Sanctuary and his way of life. In a typical story fashion, Logan genuinely questions his belief system and of course, turns against his society. I’ll be the first to admit that Logan’s Run is kind of kitschy and dated. Those scenes in the mall um… future city have that funky ’70s feel but I loved the message which resonates with our society. I mean look around, see how we’re obsessed with looking young and beautiful. Facelifts, tummy tucks, nose jobs. 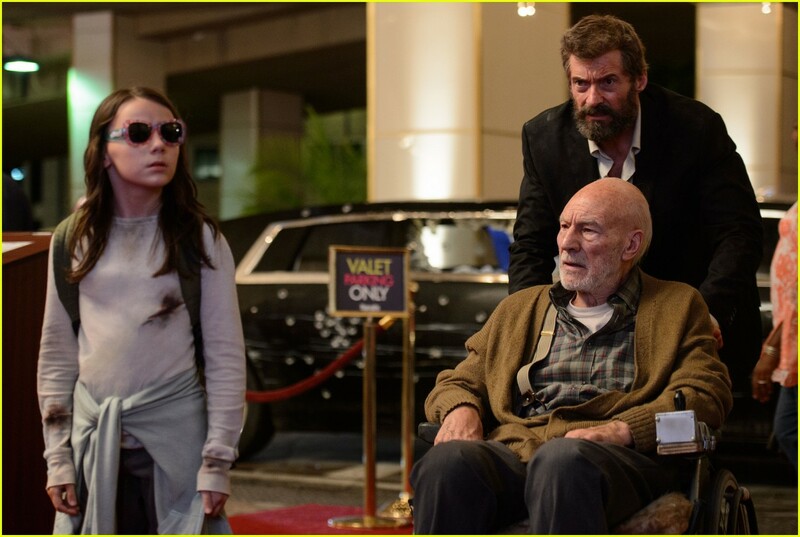 There was even a scene in the movie where Logan visited a high tech plastic surgeon located in a mall who used lasers to rejuvenate customers. Another theme is how society devalues old people. 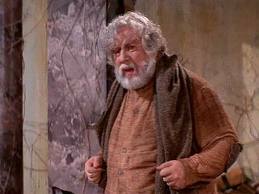 One of the best moments in Logan’s Run is when Logan and Jessica meet an old man (Peter Ustinov) in the ruins of Washington, D.C.. They are shocked to see someone so old, they actually wonder why his face is “cracked”! Yet the old man shows them that life goes on beyond thirty. That is why Logan’s Run should be remade. Its subject matter is still relevant to our times and may teach some viewers a lesson or two. I haven’t read the book, but it’s supposed to be different than the movie. For instance, Logan is much younger in the book since the day of renewal is when one turns twenty one. But the basis of the story is solid. There is little that needs to be done with the story, just update the effects and film it anywhere except a mall! 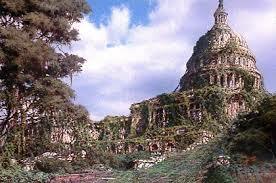 It would be a fun idea to cast Michael York as the old man living in the ruins of D.C.–the production design showing the wrecked buildings and overgrown vegetation was excellent btw. There have been many attempts to remake the movie and they all failed. Bryan Singer, Tron: Legacy director John Kosinski and Drive director Nicolas Winding Refn were going to direct a remake at one time or another. With the latter director, Ryan Gosling was to star in the remake. Well all those plans fell apart, but it’s encouraging that quality filmmakers have shown interest in remaking Logan’s Run. It seems to be a matter of timing. So hopefully it will be remade someday.